Ayurveda – the ancient medical art of healing and science of life, has comprehensive therapeutic cures related to physical and mental ailments. It is one of the oldest and time-tested system of healthcare dealing with the preventive and curative aspects of disease in the most comprehensive way. The cures are based on how to synchronise the Khapha, Pita and Vata doshas, and how to manage these through diet control, yoga-asnas, pranayam and herbal medicines. In this book you discover the secrets of Ayurveda – a complete medical science which is gaining popularity all over the world. 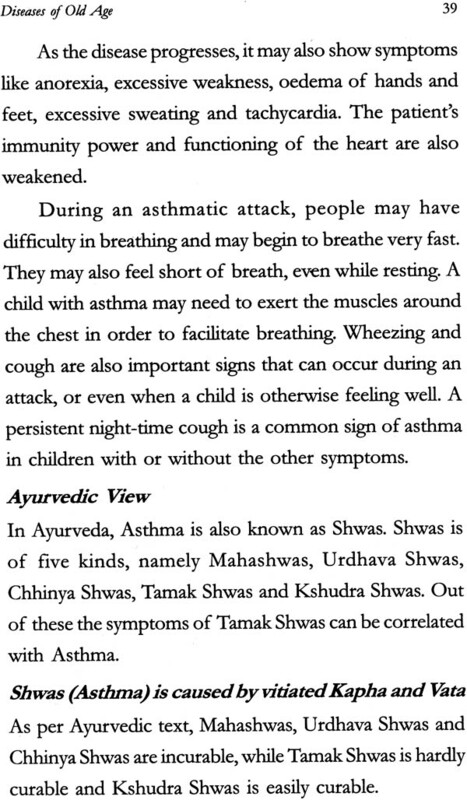 Vaidya Suresh Chaturvedi is an Ayurvedic practitioner. He is the founder of the Ayurvedic Herbal Research Centre and the vice-president of Dhanvantri Medical Foundation. He was also the principal of KGMP Ayurvedic College and the member of the Governing Council and Finance Committee of Rashtriya Ayurveda Vidyapeeth and National Institute of Ayurveda, Jaipur. He was awarded the Padamshree and Ram Narayan Vaidya award 2004 for his valuable contribution to the field of Ayurveda. He is also the director of Emami Pvt Ltd., and has written more than 25 books on Ayurveda. Life is a process that beings at conception and continues as long as we live. 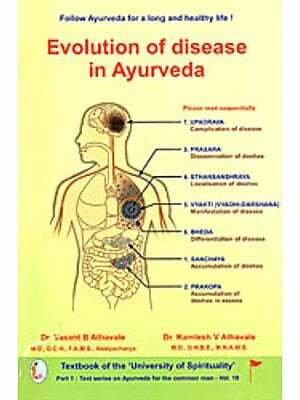 As per Ayurveda, the lifespan (ayu) is divided into four parts, viz. Balyavastha (infancy), Krishoravastha (childhood), Yuvastha (youth), Vridhavastha (old age). Old age is not a disease, but a natural process that occurs in everybody’s life. Old age in general beings at the age of 60 and goes on till the normal lifespan. In old age due to physiological and pathological changes, the body generates less metabolic heat and muscle mass. 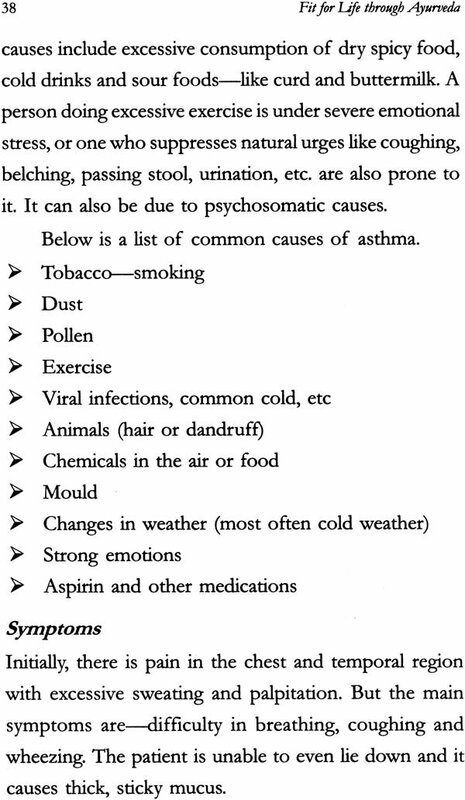 Gradual deterioration, impaired neurotransmission, decreasing ability and inactivity occurs. Ageing bodies reflect the genetic capacity to adapt and repair, even from the cumulative damage cause by disease. Ageing highlights our strengths as well as weaknesses—physical and mental health. In this book an attempt has been made to discuss the points mentioned above. The brief introduction to Ayurveda explains the essence of the subject matter. I have tried to cover all the possible problems which people face in old age and otherwise, like asthma, hypertension, diabetes, cardiac problems, etc as well as mental problems like anxiety and depression have all been looked into. I have also explained the preventions and precautions that people should take through yoga, meditation, diet, etc. This book also tells you about the different treatments that are useful in old age diseases. It highlights Ayurvedic principles and values to enable us to lead healthy lives.